Mitchell's trademark dry, intelligent humour translates well... 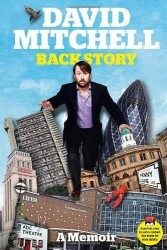 If you like Mitchell on television, you will like him in this book. David Mitchell's Back Story contains a string of observations that are as funny as they are thoughtfully composed.